This month, the Honors Business Association (HBA) hosted its inaugural start-up field trip, providing students with a first-hand look into the exciting world of entrepreneurship. 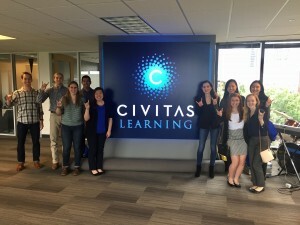 Spearheaded by BHP junior Jiaying Han, the trip consisted of visits to three Austin-based companies: Civitas Learning, Red Velvet Events, and Aceable, all of which are under the leadership of trailblazing BHP alumni. Each visit was an opportunity for students to be exposed to the operational structure of a start-up and interact with company founders on a personal level. At Civitas Learning, students met with Michael Koetting (BHP/MIS ’13), who serves as the company’s Director of Corporate & Business Development. An entrepreneur to the core, Michael co-founded Hoot.me while on the Forty Acres. His zeal is just as evident in his work for Civitas, which offers an analytics platform that makes data-driven recommendations to organizations on how to increase college graduation rates. The passion with which Michael described his work was deeply moving, and it was clear that his team could not be more motivated by the ultimate cause behind their business. Cindy Lo (BHP/MIS ’98), founder and CEO of Red Velvet Events, an internationally renowned events management company, exuded a contagious sense of passion about her work as well. Students were not only delighted by her humorous anecdotes, but they also got the chance to ask her a number of questions over lunch. Among the most notable lessons she shared was the importance of adaptability in business (a quality that helped her successfully organize a last-minute concert for Lionel Richie, for example.) Her self-made success was certainly awe-inspiring. 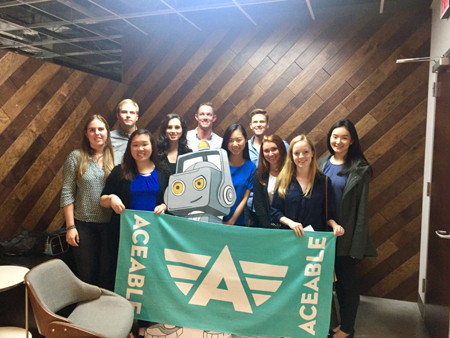 Aceable, which offers the first-ever mobile app for driver’s education, was the third stop of the action-packed day. There, students met with Travis Devitt (BHP/FIN ’06), the company’s Director of Growth. Travis brought in different members of the team—including the founder himself—to share insights gleaned from years of work in entrepreneurship. The team’s words of advice emphasized the fact that the position in which college students find themselves is an enviable one, and that they should therefore work to ensure they are making the most of the vast amount of resources available to them. Beyond receiving office tours and free goodies, students left with a richer picture of what a career in entrepreneurship is like. The lauded event is surely one that will become an HBA tradition. This year’s Honors Business Association (HBA) president is Katie Stephens. Katie is a senior majoring in BHP and Supply Chain Management, with a minor in MIS. She is from El Paso, and attended Coronado High School. 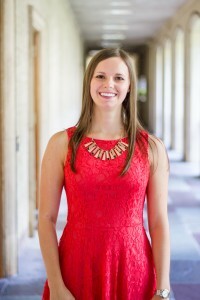 In addition to her involvement in HBA, she has also served as treasurer of Texas Sweethearts and leads a weekly prayer group for the Baptist Student Ministries. She loves being in Austin and can be found paddle boarding on Lady Bird Lake on the weekends. Katie first experienced HBA as a freshman on the bus ride to the BHP Leadership Kickoff. Members of the HBA executive team were on the bus and struck up a conversation with her, helping to connect her with upperclassmen who were active in groups she was interested in joining. “Freshman year I went to every meeting and loved it. It was my home. 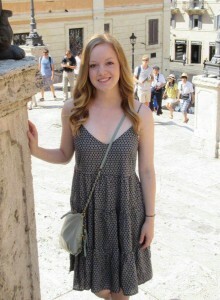 My first semester I felt really far from home, and HBA helped me adjust,” says Katie. When asked about her favorite HBA event, she quickly answers the Konana/Agarwal DWAP (Dinner with a Professor). This event is a favorite for many students. Of all of the DWAP events HBA puts on each year, this one, hosted in the home of BHP MIS professors, garners the largest turnout. Katie tries to go every year and has enjoyed bonding with classmates and professors at this and other DWAP events. One of Katie’s and the HBA executive team’s goals this year is to increase inter-class relations. “Students in the same grade level are really close, but it is common that they won’t know anyone in the grades above them, especially freshmen,” she says. HBA is working to create events and programs that will help freshmen get to know those in the classes above them. Their hope is that eventually students will start to form “BHP families”, and will have connections in each of the classes to go to for help. Katie values the friendships she has made through HBA and what it has added to her BHP experience. “HBA is the best way to get to know your BHP peers and to interact with faculty outside of class,” she says. We are lucky to have her leading this year’s great executive team, and look forward to another year of memorable HBA events! 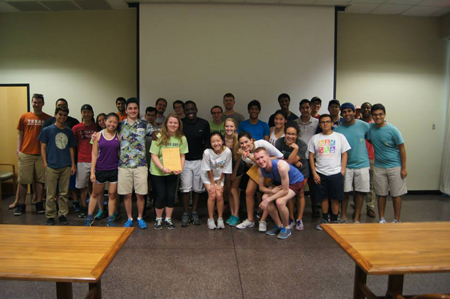 This past Sunday, the Honors Business Association held its third annual Incredible Race event, open to all McCombs students. Organized by the External Affairs committee, this event is an effort for HBA to both connect with other McCombs organizations while also giving back to the Austin community. 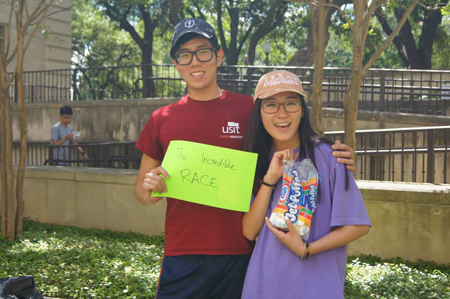 In the race, teams of two were given cryptic clues to find the location of eight stations hidden around UT. Once they found the location of a station, they had to complete the station’s challenge to gain access to another clue. The first three teams to find all eight stations and complete the eight challenges were declared the winners. This year, HBA chose to donate all event proceeds to the Micah 6 Food Pantry, a food bank for the homeless and impoverished located right next to the UT campus. HBA has been consistently volunteering at the pantry for several years, so this year’s Incredible Race became an opportunity to contribute financially to an organization to which HBA has gotten quite close. HBA raised approximately $150 for the pantry. All in all, this year’s Incredible Race was a great success. Despite the fact that this event only started two years ago, it has grown tremendously. Hopes are high that it continues to grow and make an even bigger impact in the McCombs and Austin communities. A huge thank you to the volunteers from all of the organizations that participated, and all of the participants who made this event a success! 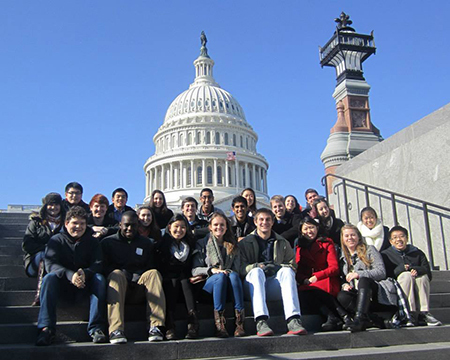 Annual HBA Company Field Trip Brings Students to Washington D.C.
Four days. 23 students. Three companies. Good memories? Too many to count. The Honors Business Association recently traveled to Washington D.C. for its annual Company Field Trip. 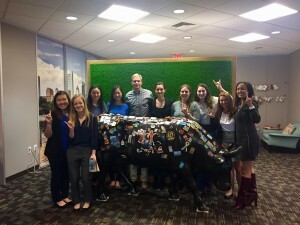 A broad mix of students, from freshmen to seniors, marketing to finance, took advantage of an incredible opportunity to network with executives at top companies in the city while learning more about the non-traditional doors a McCombs major can open. The first company visit was to Marriott. We toured sample rooms from six of Marriott’s brands and learned about the intricate process behind crafting the perfect hotel rooms. We also gained insight to the subtleties of hotel branding, and how even the smallest details can make a difference in guest experience. The Marriott visit also included a tour of the Innovation Lab, where Marriott is testing new designs to place itself at the cutting edge of the hospitality industry. The visit concluded with a quick tour of the rest of the headquarters building and a question-and-answer panel with two Longhorn alumni. Thursday night, the group was treated to even more alumni interaction through the annual Alumni Dinner. Four local BHP alumni joined us at the Texas-themed Rhodeside Grill. We chatted with the alumni to enquire about their career paths and gathered advice on fun classes to take and quirky hole-in-the-wall restaurants to try. With outstanding food and even better company, the night was a treat for all involved. Friday started with a tour of the White House. While not all of us have political ambitions, it was hard not to fantasize about one day calling 1600 Pennsylvania Ave. home. After the White House, we trekked to one of Lockheed Martin’s Advanced Technology Laboratories. Various company executives talked to us about multiple facets of the company’s business, including aerospace & defense, space, and information technology. 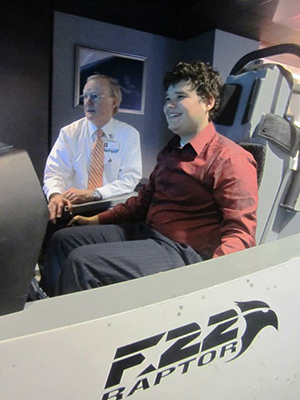 At the end of the visit, we took turns piloting Lockheed Martin’s F-22 and F-35 simulators. While no student has voiced intent to leave the Business Honors Program to become a fighter pilot, several were tempted! Saturday, we started the day with a tour of the Capitol. Following this, we broke off into small groups to explore all Washington D.C. has to offer. Popular destinations included the Newseum, the National Zoo, several Smithsonian museums, and many of the national monuments. Sadly, the trip needed to end sometime, and the group returned home Sunday. While the trip was finite, we all knew that the memories of good times with great friends in an amazing city would last forever.